For those that don't know, not all beer is vegan. Why? Well, there are two reasons why a beer might not be vegan. One reason is that non-vegan methods are used in the filtration/fining process. For example, a common filtration process involves using fish bladders (isenglass) in the brewing process (ew, am I right?!). Other non-vegan fining/filtration methods might also be used. The second reason a beer might not be vegan are it's actual ingredients, the most common non-vegan ingredient being honey. If you want to double-check that your brew is vegan, Barnivore.com is a very handy resource. However, not all manufacturers/breweries/beers/etc. are always listed, so the second best thing to do is use Google and the third best thing is emailing the company directly. Now that you are all caught up on what constitutes if a beer is vegan, I'd like to share with you some vegan beers that are perfect for October and fall. I've tried some of these brews, but I consider the list below my "wish list" this season! I hope to find and try all the beers listed by the end of autumn. Perhaps a lofty goal, but this is the only time of year I go all out with beer drinking, so I want to make the most out of it! Gimme all the (vegan) pumpkin beers! To the best of my knowledge, all the beers listed below are vegan, however please always double-check Barnivore.com or contact the brewery yourself. Sometimes breweries change their methods/ingredients from season-to-season, so if you aren't sure about a beer, contact the brewery itself. If you find one I've listed isn't vegan, please let me know. Otherwise, cheers and enjoy! 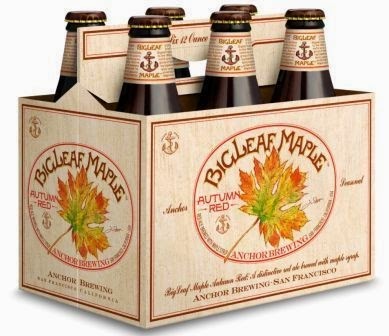 Anchor Brewing Bigleaf Autumn Maple Red Ale - I haven't had the pleasure of trying this one yet, but I would assume that the maple would give it a hint of sweetness, and it is nice to have an alternative to all the pumpkin ales out there! 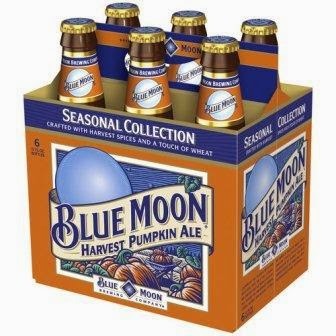 Blue Moon Harvest Pumpkin Ale - This is my go-to autumn ale as it is so easy to find and is consistently good! Bootlegger's Brewery Pumpkin Ale - This is one of the few beers I've had that actually tastes like pumpkin pie! 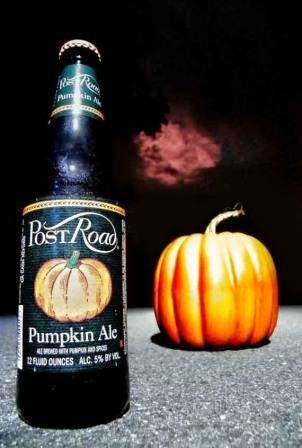 Really love this beer, since it tastes sweet with strong pumpkin and molasses notes. One of my faves and under $5! Brooklyn Brewery Post Road Pumpkin Ale - It is tough to find this ale on the West Coast, but I have heard it is one of the best pumpkin ales! Hope I get to try this brew one day! The Bruery's Autumn Maple - I first tried this delicious Belgian-style brown beer last year, and have been in love with it ever since! It is brewed with yams, molasses, maple syrup and autumn spices, which gives it a rich, distinctive taste. It's also brewed locally here in Orange County! Buffalo Bill's Brewery - America's Original Pumpkin Ale - Regarded as one of the "first" modern pumpkin ales (hence the "America's Original" title), this pumpkin ale is much more pumpkin-y tasting than many pumpkin brews. And we aren't talking pumpkin pie taste here, no, this is more straight pumpkin taste, with hints of spice. Dogfish Head Punkin Ale - Another one of my faves! This Punkin Ale is brewed with fresh pumpkin meat, brown sugar, and spices. A great way to warm up on a chilly October night! Elysian Brewing Company Night Owl Pumpkin Ale - The Seattle-based Elysian Brewing Company makes several seasonal flavors, and their Night Owl Pumpkin Ale is probably their most accessible. Each batch is brewed with seven and a half pounds of pumpkin per barrel and spiced with ginger, cinnamon, nutmeg, cloves and allspice. Doesn't that sound delicious? 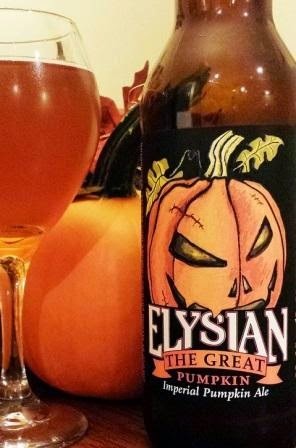 Elysian Brewing Company Great Pumpkin Ale - Yup, I couldn't pick just one from this brewery! 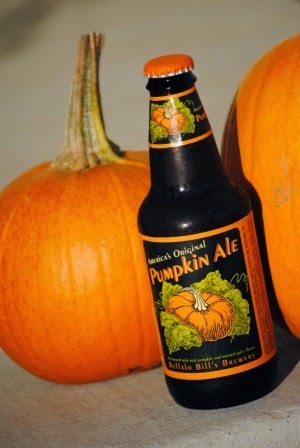 This Imperial Pumpkin Ale has an intense pumpkin taste, with a sweet and spicy aroma. Its thick and malty backdrop mellow out the sugary and spice flavors to make it a perfect fall treat! 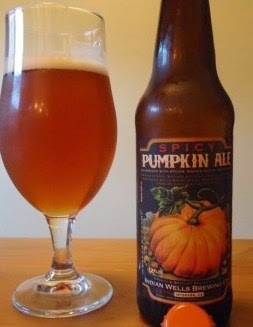 Indian Wells Brewing Co. Spicy Pumpkin Ale - This seems to be on the cheaper side of the seasonal pumpkin ales, and has a spicier cinnamon taste than some of the other pumpkin ales. I haven't personally tried this one yet, but it's a good option if you are budget-conscious. 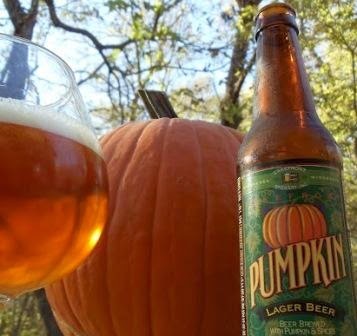 Lakefront Pumpkin Lager - I don't know if I will ever be able to get my hands on this Milwaukee brewery's Pumpkin Lager, but a girl can dream, right? I believe this is the only pumpkin lager available, and it is made with candied yam and spices to create a sweet, yet nutty toasted wheat flavor. Mendocino Pumpkin Ale - This is one of the first pumpkin ales I found in stock this year, and it is pretty decent. It has a lighter flavor profile than other pumpkin ales, but it is still drinkable and I actually enjoy the more subtle flavors when I'm in the mood for a lighter beer. New Belgium Pumpkick Ale - This pumpkin brew has a hint of tartness that comes from the addition of cranberry juice and lemongrass during the brew process. Sounds a bit crazy, but this is what gives this New Belgium beer its kick! Saranac Pumpkin Ale - A hearty ale brewed with pumpkin, cinnamon, allspice and ginger with a full body and amber color. They sell cheap jugs of this at BevMo for $3.99! 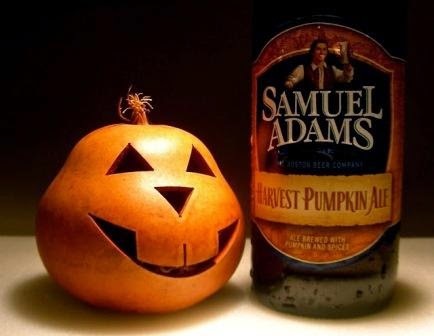 Samuel Adams Harvest Pumpkin Ale - You can probably find this pumpkin ale at pretty much any grocery store in America, and it's a pretty tasty, economical option. Samuel Adams Octoberfest - I picked up a six-pack of this Samuel Adams' Octoberfest way back in August, and it was one of the first autumn beers I had this year! It has a nice, warm flavor that is perfect for the beginning of fall. Another good option if you are looking for something that isn't pumpkin-flavored! 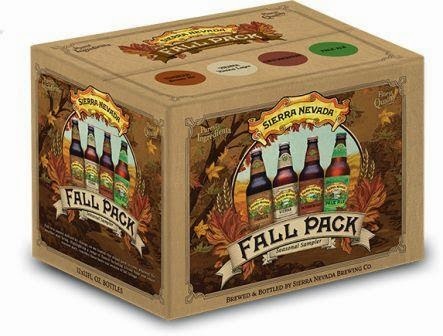 Sierra Nevada's Fall Pack - This year, Sierra Nevada is offering a Fall Pack of beer, featuring their Oktoberfest, Tumbler, Vienna, and Pale Ale beers. This wide selection of beers conveys the change that the autumn season signifies, and they've loaded this pack with widely differing options to cover whatever weather this fall may bring, from the flavors of citrusy hops to roasted malts. Southern Tier Pumking Ale - This King of Imperial Pumpkin Ales features a strong pumpkin pie aroma, with a very strong balance of sweet and spicy flavors. Uinta Punk’n Pumpkin Harvest Ale - This Utah-based brewery makes its brews with the renewable resources of wind and solar power! I just thought that was so cool and makes me enjoy their Punk'n seasonal brew even more! Punk'n tastes like roasted pumpkin, with hints of vanilla and autumn spices. 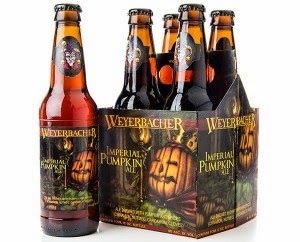 Weyerbacher Brewing Co's Imperial Pumpkin Ale - This 8.0% ABV pumpkin ale certainly packs a punch, and is heartier and richer than many pumpkin ales. It features strong pumpkin and caramel flavors, finishing off with spicy autumn notes of cinnamon, nutmeg, and a hint of cardamom. I've never been able to find this one, but hope to try it one day! What are your vegan beer recommendations for autumn? What's on your beer "wish list" this season? 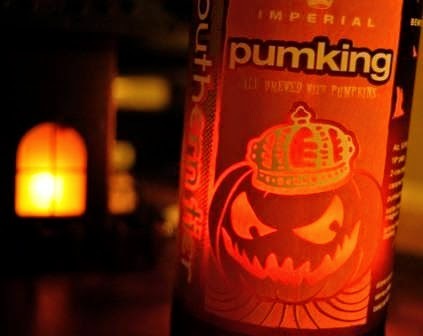 Nothin' is ever going to beat out Pumking. It's just not happnin'.